In this class we will explore the sensory channels and structures of muscle, bone and fascia and use information gathered from these explorations to engage in movement improvisation. Comfortable clothing is required. 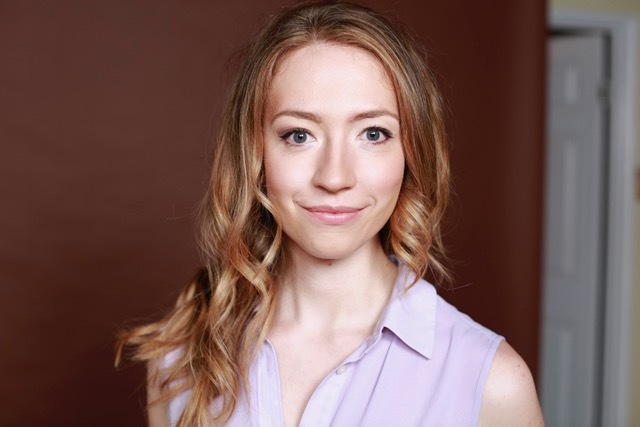 Alyssa Bartlett is a Toronto and Edmonton based actor, dancer, deviser and playwright. She is a graduate of the University of Alberta’s MFA in Theatre Practice, where her thesis work entailed adapting and choreographing Margaret Atwood’s poem “Marrying the Hangman”. Her professional work centres around the body as an experienced and meaning-making entity, with research into anatomy, embodiment, improvisation, psychology, and storytelling practices. She is currently collaborating with spoken word artist Brandon Wint to create a dance-theatre adaptation of his poetry. Recent credits include HANGWOMAN (University of Alberta), Romeo+Juliet (Toy Guns Dance Theatre), Harun (Ignite Festival), Swallow (Tinkerspace Theatre), A Soldier’s Tale (Signal Theatre at The National Arts Centre) and My Virtual Dream, an interdisciplinary, experimental project alongside neuroscientist Natasha Kovacevic that combines collective neurofeedback and dance.